Am I the only one who did not know that Sardinia has ruins of villages from about 1500 BC? 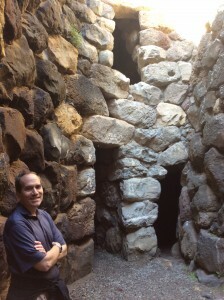 The central stone towers, called the nuraghe, are built from boulders without mortar. During my guided tour, I was shocked to learn there are 7000(!) nuraghi throughout the island of Sardnia in Italy. These structures are unique to Sardinia. 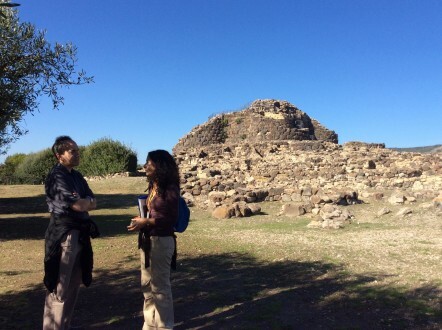 The nuraghe at Barumini is the best preserved of the thousands in Sardinia and is a Unesco World Heritage site. Its central tower is several stories high, probably built around 1500 B.C., and is surrounded by several smaller stone towers. Prehistoric Sardinians may have used the towers as defensive fortresses and to store weapons and grain. One flat spot on a rock likely was where the people sharpened their knives, the guide explained. You can wander ruins of about 200 individual houses that surround the main towers. As you explore, you can see the arched doors, shelves built into walls, and circular spaces that may have been used to worship water. While cruise groups and other tourists crowd the site during the summer, and you can expect to wait in line, in November we had the entire archeological site to ourselves. Really – we were the only people there. You must have a guide at the site. Call ahead to confirm when tours in English are offered. 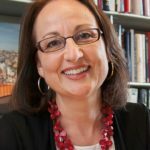 For a personalized tour that included transportation to and from Cagliari, we hired our own guide, the knowledgable and thoughtful Michela Mura ([email protected]). 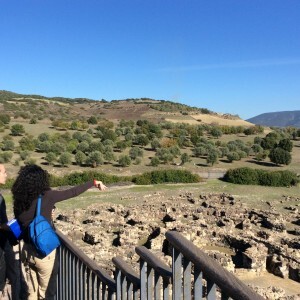 Clues to the Nuragic civilization are in the artifacts excavated from the archeological sites. To see the Bronze Age statues, tools, jewelry, and ceramics discovered in the nuraghi, visit the Archeological Museum in Cagliari. We found the explanations in a slim paperback filled with photographs, Paolo Melis’s The Nuragic Civilization, to be more accessible than the museum captions. For a brief overview of the island’s history, we enjoyed the children’s book A Short History of Sardinia by Francesco Cesare Casula. For about 1600 years, first Nuragic people, then Phoenicians, then Romans lived in Nora, a beachfront town in Sardinia a outside Cagliari. All of this before the 8th century, when the town was abandoned. For an American, this is a completely different sense of time and history. It is exhilarating and humbling. The archeological site at Nora is an open air museum. You can walk among the ruins of Roman mosaics, outlines of the thermal baths, a temple, the elegant pillars of a fancy villa, and roads. The Roman theater is still used for musical performances in the summer. Kids may enjoy seeing the Roman communal toilets. Nora was a trading town, strategically set on a skinny peninsula with two protected ports to facilitate boat landings. Some of the city now is underwater. 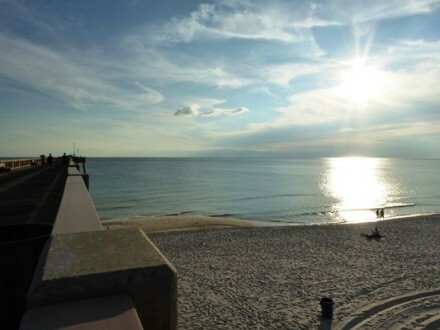 During the summer, the lovely beach at Nora may have swimmers. To get the most out of our visit to Nora, we hired a private guide. The knowledgeable Michela Mura Michela helped make the Roman ruins come alive for us and also drove us to and from Cagliari. Her email is [email protected]; her company website is www.sardegnaitinerari.it. Inside the city of Cagliari, you can view the surprising discovery made in 1990 during renovation of a church basement: the ruins of a Roman street and temple, along with pots and other artifacts found at the site. The Church of Santa Eulalia also has a companion museum. Sardinia is famous for its beaches. But its rich archeological heritage is a different reason to visit this beautiful Mediterranean island. 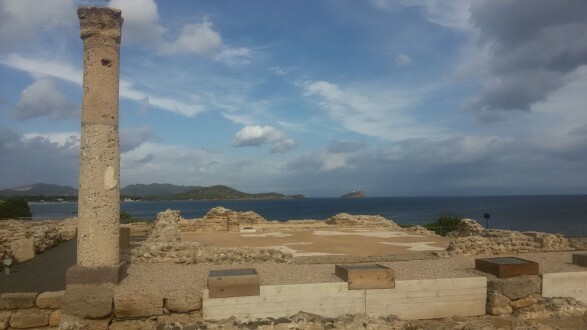 While the archeological sites may be crowded during tourist season, off-season you might get the fun chance to have the place to yourself, like we did.